This will be a very short newsletter since I am very tight on time but I have some great information for the RMR Gang! 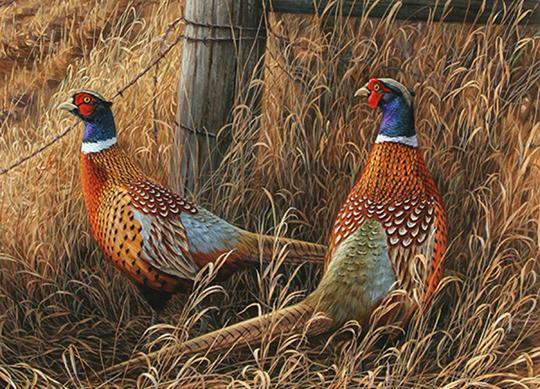 The GIANT QUAIL HUNTS are going great and there are a few left to reserve. The Birthday Special put a thousand birds in the field and that was loads of fun for sure! 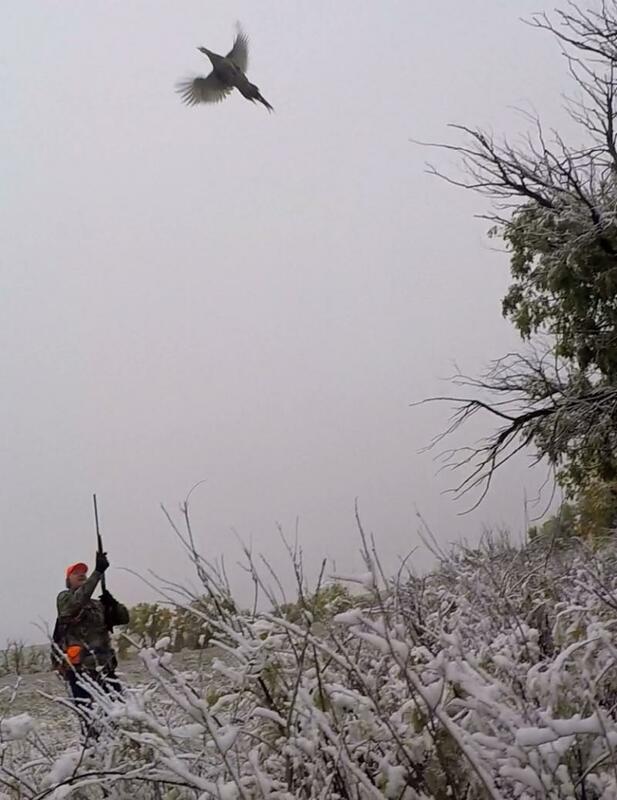 Take advantage of the cool weather and let shoot some birds! Ron died two days after I sent the newsletter out. Keep his wife Nora in your prayers and thanks to all of you who say the notice on Facebook about his passing. 33 years ago my Father’s brother, my uncle, Ron Axton and aunt Nora sat down with my roommate from CSU and I and talked about an idea. The idea that Dan Mommer and I had was to start a hunting club where people would join as members and hunt upland birds with their own dogs or we would guide them with our dogs. Dan and I didn’t have two nickels to rub together and banks were not a n option to get a loan from (without a cosigner). Our parents didn’t have the resources to help out financially, and Ron and Nora loaned us $10,000 with a less than aggressive payment structure to repay the loan. I think they thought it was a loan they would probably never see again. Both of my parents have passed, my Dad died in 1997 and Mom passed away in 2012. My Uncle Ron and Aunt Nora live in St George Utah, and we have stayed very close through the years. Many of you have met Ron or know of him and I wanted you to know that without him, the club would not exist. Ron is very sick and the doctors have said that he doesn’t have much time on this earth. 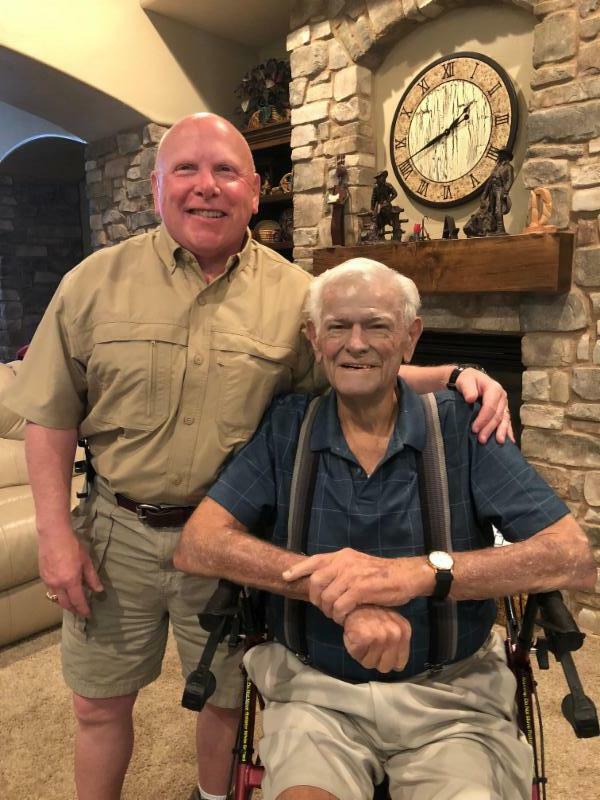 He is a believer in Christ and has accepted him as his savior, so he is ready to be in Heaven with his parents and my folks, as well as many of our RMR family that have gone before us. 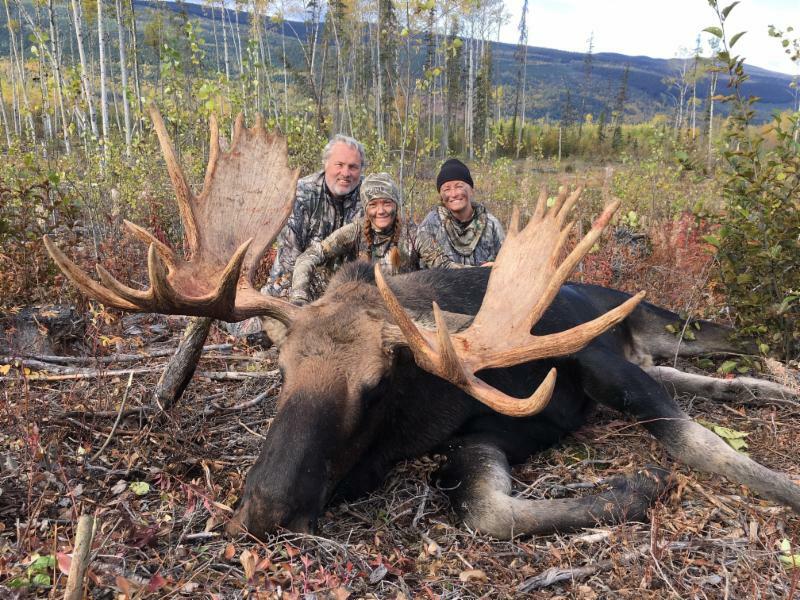 Ron and Nora—We love you and are so blessed that you took a chance on your nephew and his crazy idea about hunting pheasants in Colorado. You are the closest thing I have to parents now, but more importantly you are a great friend and an awesome role model. We will miss you here, but will see you again in Heaven. Prayers for Ron and Nora. 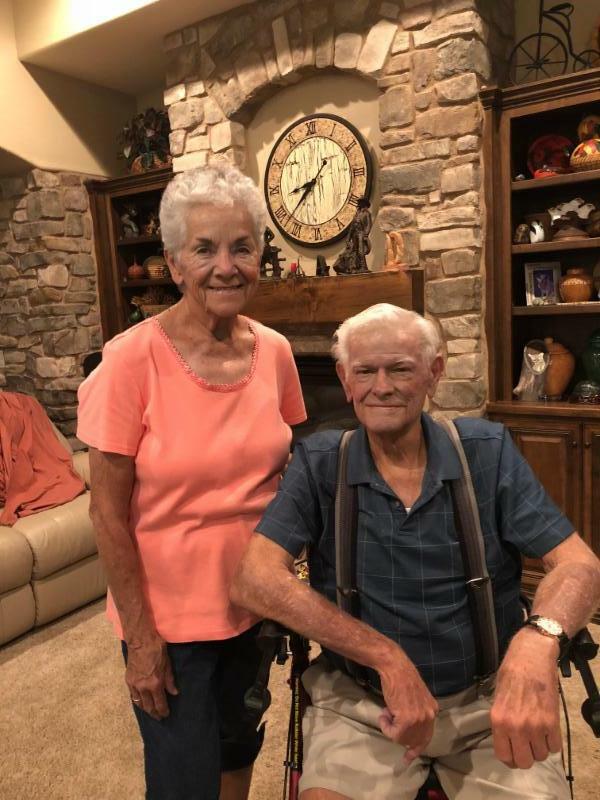 They celebrated their 59th wedding anniversary July 12th. Former RMR member Dave Roudebush passed away on October 5th. 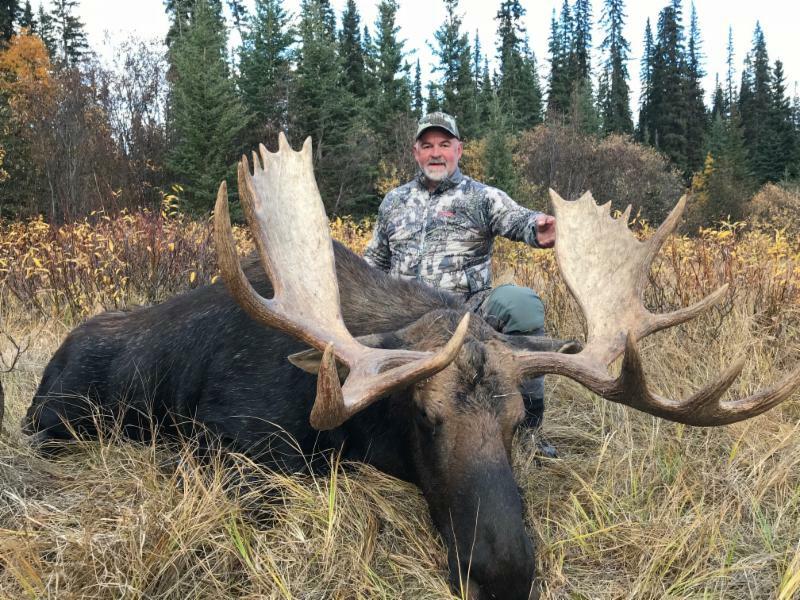 I sat on several boards with Dave and he was very active in the outdoors, not only as a hunter and fisherman but in the conservation side of things. A memorial service will be held at 2:00 pm on Friday, October 12, 2018 at Immanuel Lutheran Church, 846 E. Pikes Peak Ave., Colorado Springs, Colorado 80903. 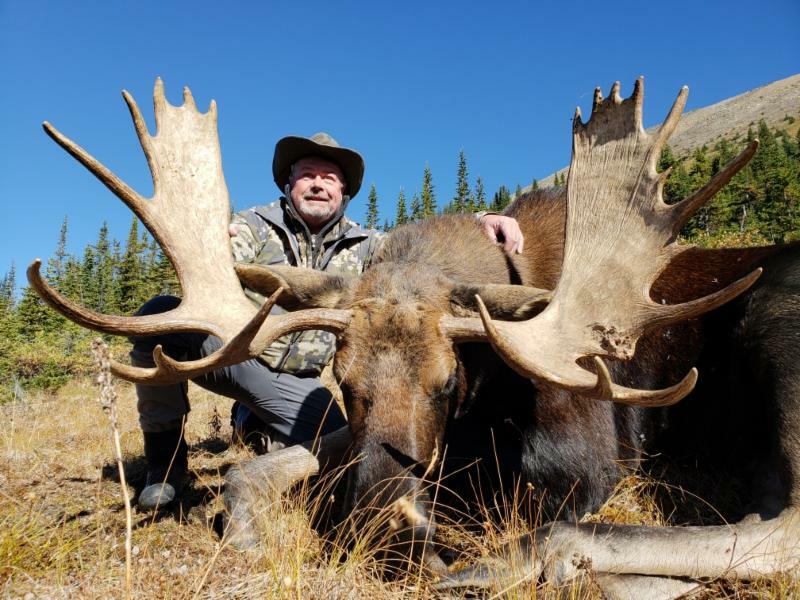 Memorial contributions may be made to the Spring’s Rescue Mission or The Rocky Mountain Elk Foundation in honor of Dave. RMR E-News on a regular basis? You will get more of the witty and informative notes now that the season is starting. We will keep you up to date on things at the club and industry related around the state and country. Click here to OPT IN for our E-News and stay informed. WHO WANTS TO TRADE OUT SOME AUTOBODY WORK FOR SOME HUNTS?? We have a lot of very talented members at RMR. I need to have some body work done on on of our Chevy trucks. 2017 1500 needs a bit of work on the tale gate, replace the bumper and some cosmetic repair on the right rear quarter panel. I would like to have this repaired and would love to trade out the work materials for a generous number of hunts and or birds. Can you hear it? Can you hear the plains calling you…it is time to visit your club! 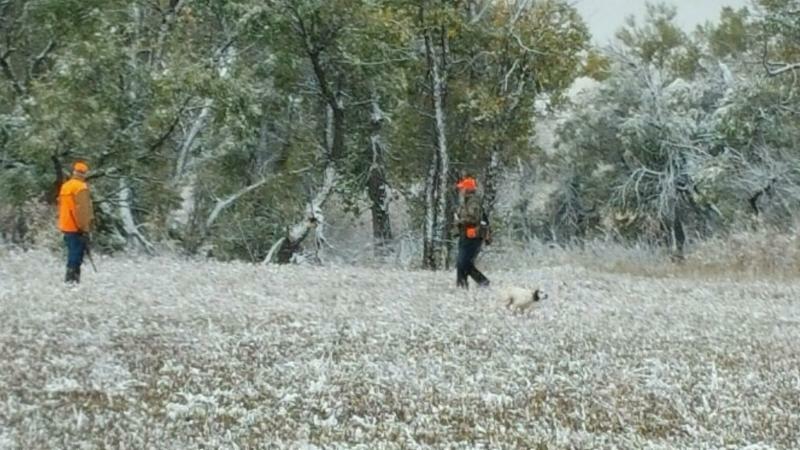 We have finally received some rain and snow and the hunting is OUT OF THIS WORLD! It is time to get your boots on and get on the phone or email us some reservations. This awesome picture was taken by Jack York on Wednesday. Put yourself in this picture and lets shoot some birds!! Bill Lieb took this picture below. Perfect weather to get the dogs out for a hunt and enjoy what God has given us! Here are the rules for you to make a reservation. Remember that we have a 48 hour cancellation policy. IF weather is so bad that it is unsafe to get to the club, we will cancel the hunt and will call you. We do not want to endanger anyone, but we hunt in all sorts of weather. If you call the office to make reservations, please speak slowly and leave your phone number….believe it or not we have more than one John or Jim as members! You can call the office Monday – Friday, 8am-5pm and make reservations by phone at 719-635-3257. When you email a reservation, we will reply to you to confirm the reservation. 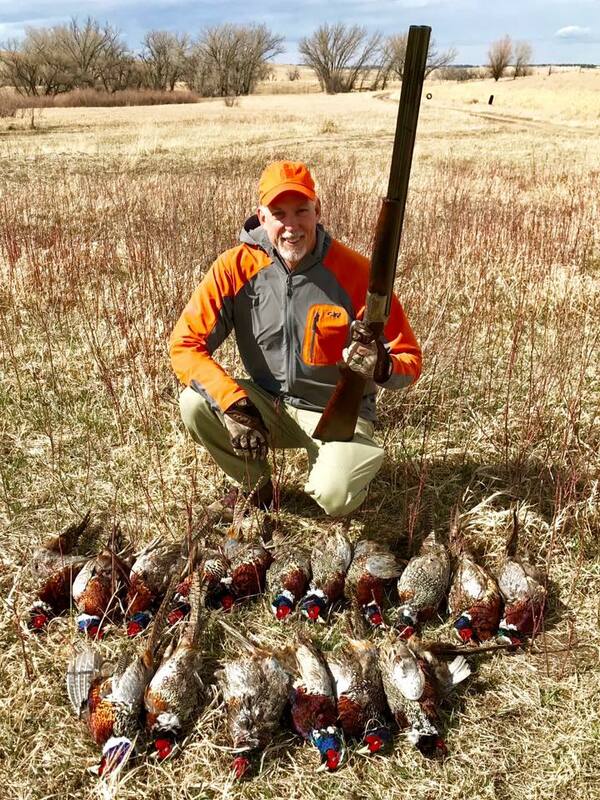 You need to tell us how many hunters are in your group, if you will need a guide (are you hunting with your own dog or not) and what birds you want to shoot….Pheasants or Chukar or BOTH. A mixed bag is lots of fun and you don’t have to care about what gets up to shoot at. 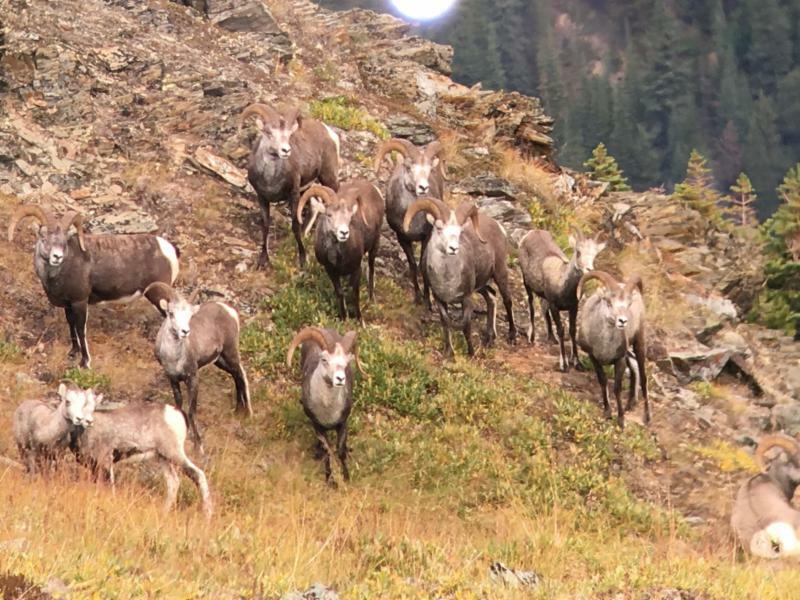 Do not email hunting reservations after 5pm on Friday….weekends. We don’t always look at email during the weekends. Call the office number and it will direct you to the clubhouse, if we are not in the office to get your call. We can not take more than 4 people in a party NO EXCEPTIONS!! The guide fee is $50 per group, not per person. 1 to 4 hunters. Hunts start at 8 and run until 11am or from 1 to 4pm. We are taking reservations for the GIANT QUAIL hunts for this year. 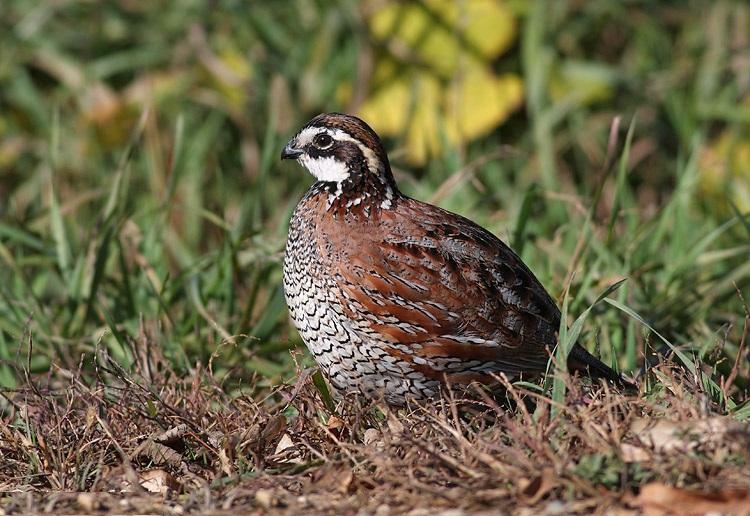 These hunts are all day events and groups of up to four can harvest 100 Bobwhite Quail. This is a fantastic workout for your dog or you can chose to have an RMR guide take you on the adventure. 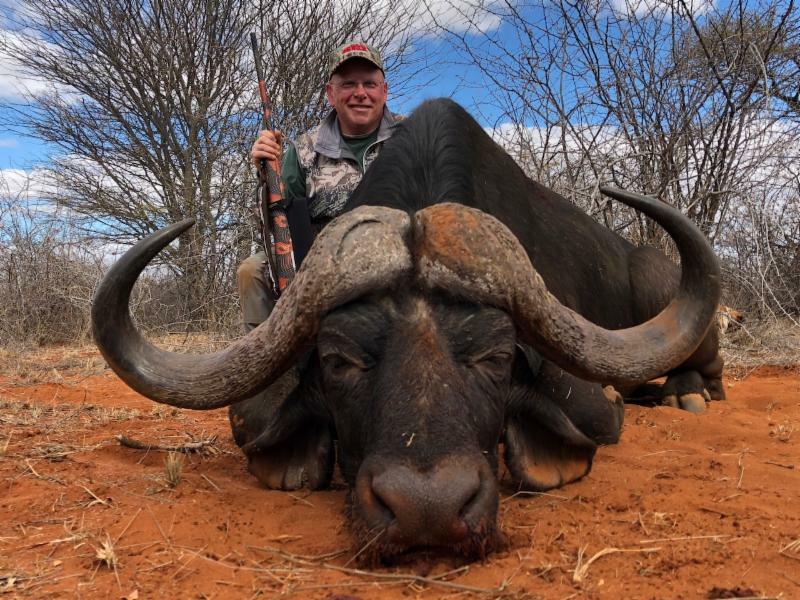 The cost is still only $950 for members and their guests (Giant Quail hunt cost for non-members is $1250) and this is a limited opportunity. 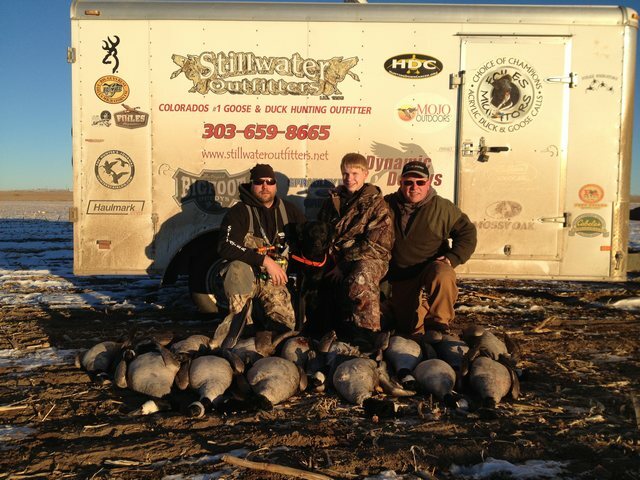 We run these hunts from the first of October through December 15th. 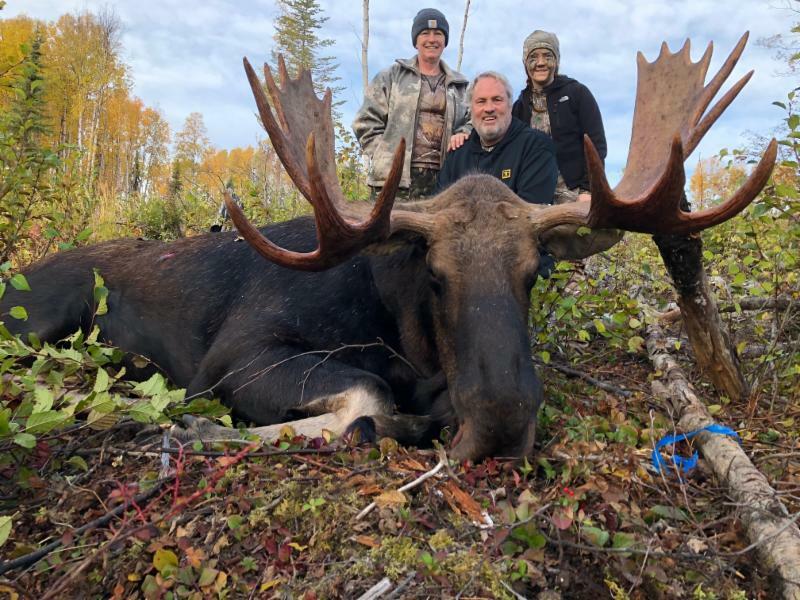 We just got home from Canada on our Moose hunt. We are filling the hunts for 2020 and 2021 now if you are interested in going with us. If you want info on any of these hunts, shoot me an email and I will get in touch with you. 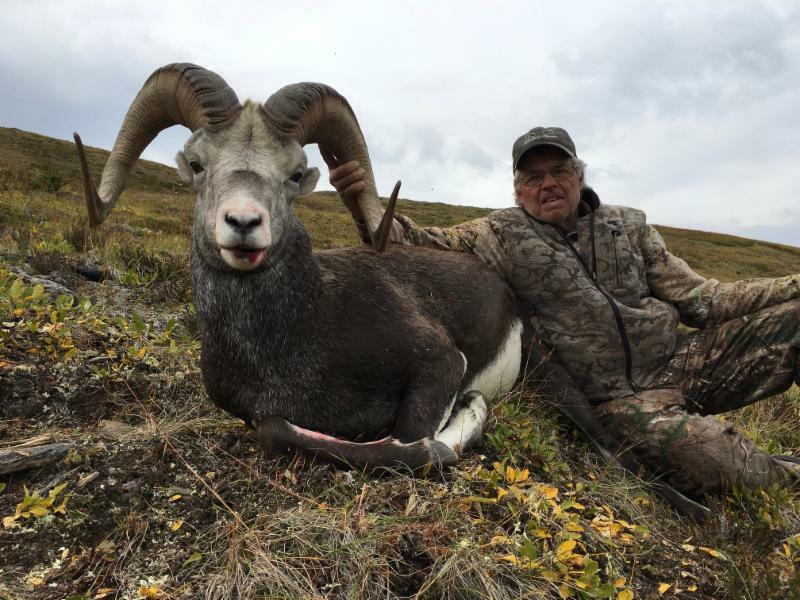 hunt@rmroosters.com 80% success on Moose and 100% success on Stone Sheep! Get on the Books NOW! 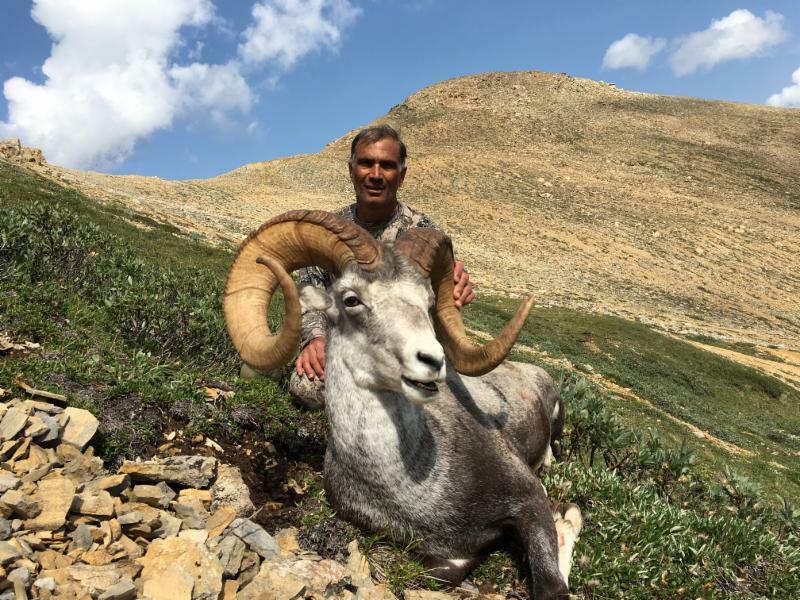 For more than 27 years, Rocky Mountain Roosters has had a great relationship with STILLWATER OUTFITTERS and Travis Reininger. 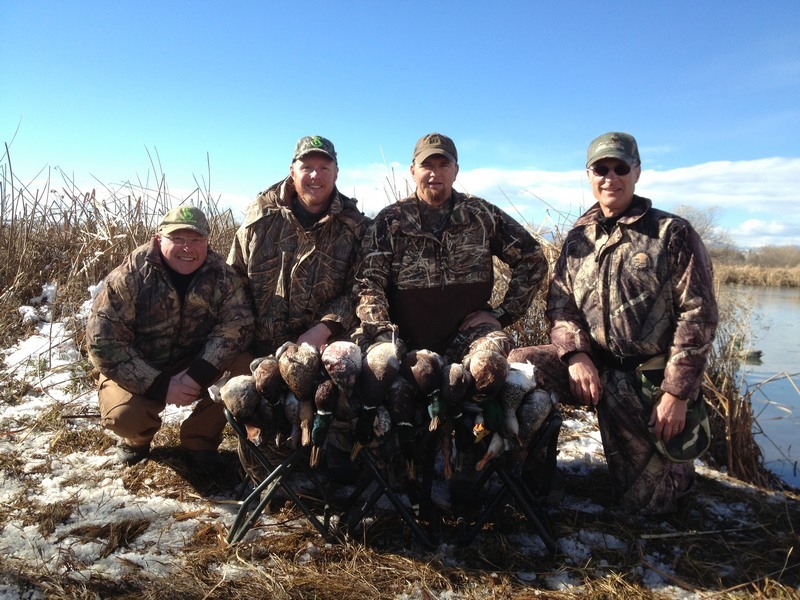 Travis is still giving the RMR folks the AWESOME discount for his waterfowl hunts, and he agreed to hold the price if you make a reservation to hunt before December 15th. 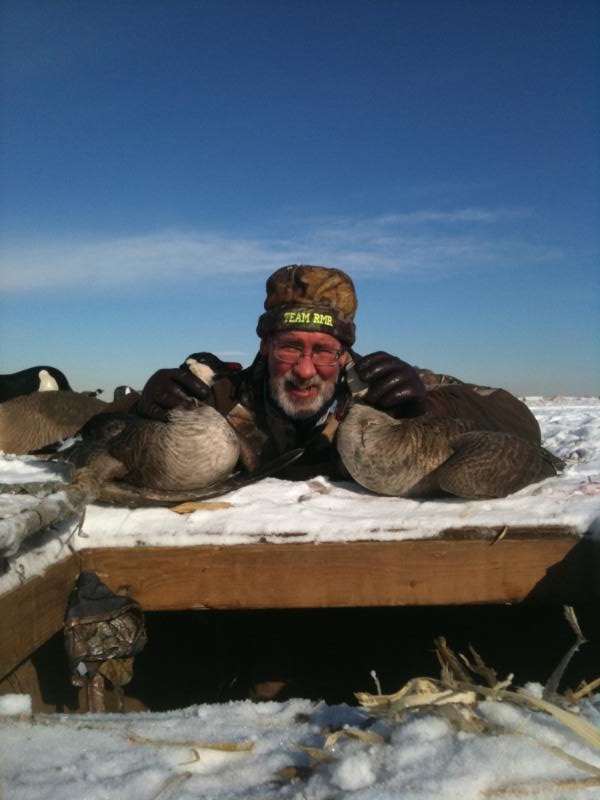 His price for the waterfowl hunts is $250, but RMR folks will save $50 per gun if you book a date between now and the end of the season, which is February 10, 2018. You don’t have to hunt before the 15th of December to get the discount, but you do have to make a reservation to hunt. CALL TRAVIS AT 303-659-8665 and tell him you are with RMR to get the $50 per gun discount. DON’T WAIT and miss out on the RMR deal!! 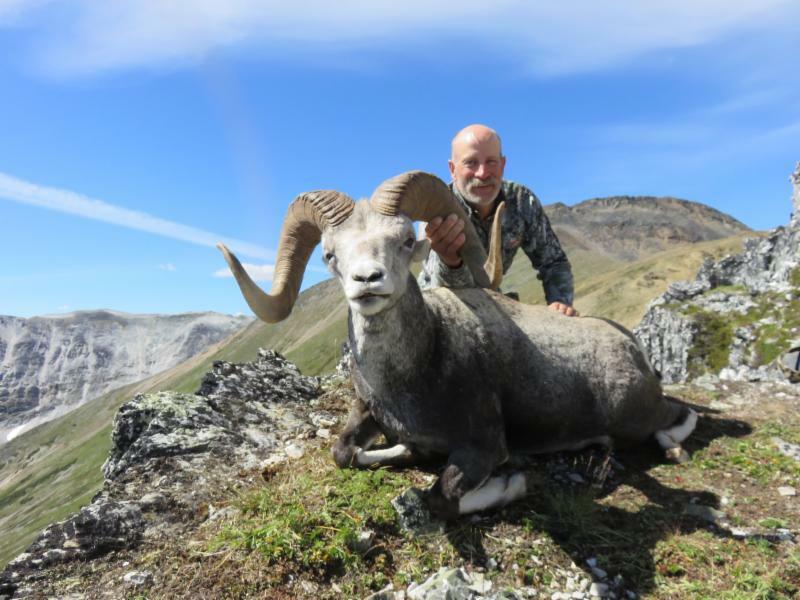 You can see his website at www.stillwateroutfitters.net and he is also under our affiliates on the Rocky Mountain Roosters home page. After 10 years, the wife starts to think their kid looks kind of different so she decides to do a DNA test. She finds out that the kid is actually from completely different parents. Wife: Honey, I have something very serious to tell you. Wife: According to DNA test results, this is not our kid. Husband: Well you don’t remember, do you??? When we were leaving the hospital, you noticed that our baby had pooped, then you said: “Please go change the baby, I’ll wait for you here.” So I went inside, got a clean one and left the dirty one there. Moral of the story: Never give a man a job for which he is clearly not qualified.